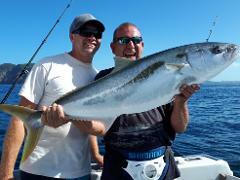 We are a first class sport fishing and adventure company in one of the best game fishing destinations in the world. The Bay of Islands is a world class fishing destination for big game fishing with world records in nearly every line class for many species, including, Striped Marlin, Blue and Black Marlin, Yellowfin Tuna, Mahi Mahi and Kingfish. Wildblue Charters is based in Opua Marina -only 3 km from Paihia- home of the Swordfish Club; the second oldest gamefish club in the world. The Bay of Islands was first discovered by Captain Cook. However, it was author and sports fisherman Zane Grey who put the destination on the gamefishing map with his legendary captures of Striped, Blue and Black Marlin back in the 1930s. 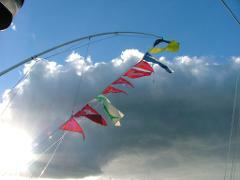 Zane Grey called the Bay of Islands area’ The Anglers Eldorado’ for its abundance of fish and their world record sizes. The Bay of Islands comprises 144 islands, some of which are now heritage listed bird sanctuaries. The region remains proudly pest free with scenic island walks, stunning lookouts, beautiful safe swimming beaches and crystal clear waters. 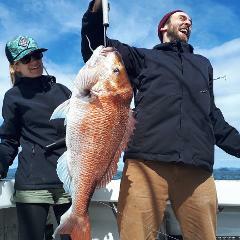 As an all year round supreme fishing destination, the Bay of Islands is the premier location to take in from the sea. Wildblue offers a family friendly charter boat catering to novices and professionals alike. Why not catch your dinner while enjoying sightseeing cruise around the islands? Head out to the Hole in the Rock where dolphins and whales are often encountered. For the thrill seekers, experience the powerful runs and acrobatic splendour of a world record-sized Marlin leaping from the water. Whatever your preference, Wildblue has the captain for the job.